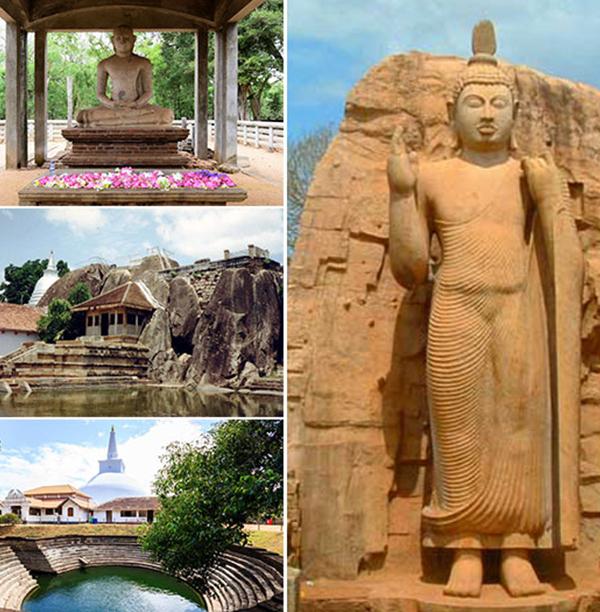 Sri Lanka the ancient cities of Lanka, the most famed and most exquisite is the Kingdom of Anuradhapura. Sri Lanka’s third and the longest serving capital and one of the oldest continuously inhabited cities in the world is also one of the most sacred cities of World Buddhists. It was the capital of Sri Lanka from the Fourth Century BC up to the turn of the eleventh Century and was one of the most stable and durable centers of political power and urban life in South Asia. 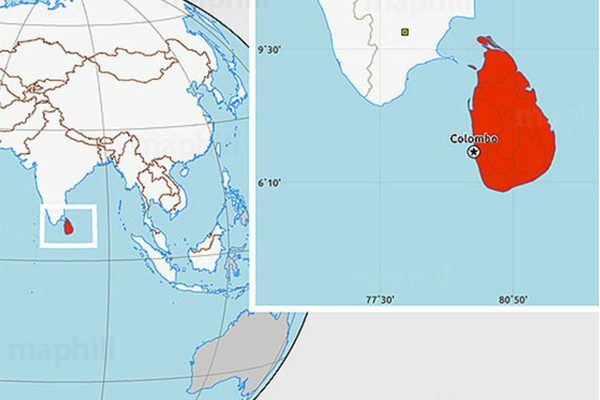 Sri Lanka lies on the Indian Plate, a major tectonic plate that was formerly part of the Indo-Australian Plate.It is in the Indian Ocean southwest of the Bay of Bengal, between latitudes 5° and 10°N, and longitudes 79° and 82°E. Sri Lanka is separated from the mainland portion of the Indian subcontinent by the Gulf of Mannar and Palk Strait. According to Hindu mythology, a land bridge existed between the Indian mainland and Sri Lanka. It now amounts to only a chain of limestone shoals remaining above sea level. Legends claim that it was passable on foot up to 1480 AD, until cyclones deepened the channel. Portions are still as shallow as 1 etre (3 ft), hindering navigation.The island consists mostly of flat to rolling coastal plains, with mountains rising only in the south-central part. The highest point is Pidurutalagala, reaching 2,524 metres (8,281 ft) above sea level. Rainfall pattern is influenced by monsoonwinds from the Indian Ocean and Bay of Bengal. The “wet zone” and some of the windward slopes of the central highlands receive up to 2,500 millimetres (98.4 in) of rain each year, but the leeward slopes in the east and northeast receive little rain. 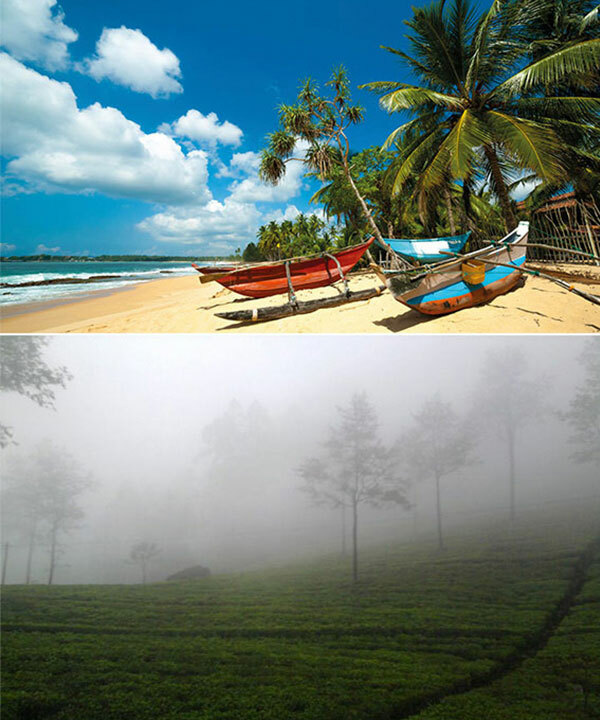 Most of the east, southeast, and northern parts of Sri Lanka comprise the “dry zone”, which receives between 1,200 and 1,900 mm (47 and 75 in) of rain annually. The arid northwest and southeast coasts receive the least amount of rain at 800 to 1,200 mm (31 to 47 in) per year. Periodic squalls occur and sometimes tropical cyclones bring overcast skies and rains to the southwest, northeast, and eastern parts of the island. Humidity is typically higher in the southwest and mountainous areas and depends on the seasonal patterns of rainfall. An increase in average rainfall coupled with heavier rainfall events has resulted in recurrent flooding and related damages to infrastructure, utility supply and the urban economy. According to the Mahavamsa (text written in Pali of the Kings of Sri Lanka), a traditional date of ancient Sri Lanka is the landing of Vijaya, who arrived in Sri Lanka with 700 followers with him and ruled Sri Lanka from 543 BC – 505 BC.Another annual date of ancient Sri Lanka is the arrival of Buddhism from Devanampiya Tissa, son of monarch Mutasiva of Anuradhapura. 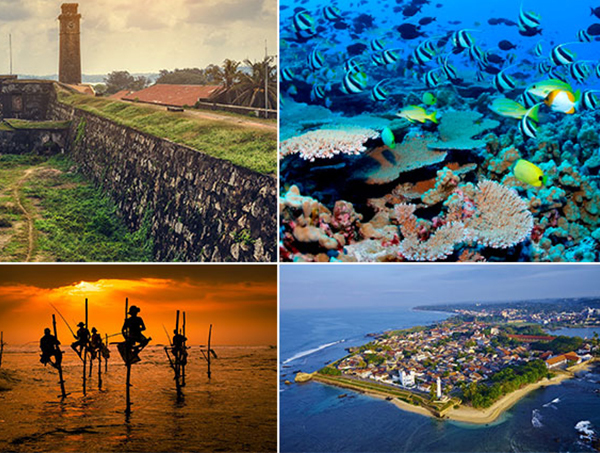 Sri Lanka’s documented history spans 3,000 years, with evidence of pre-historic human settlements dating back to at least 125,000 years. 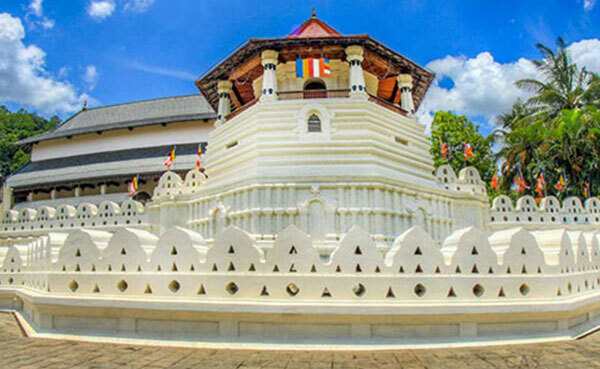 It has a rich cultural heritage and the first known Buddhist writings of Sri Lanka, the Pali Canon, date back to the Fourth Buddhist council in 29 BC. The current constitution stipulates the political system as a republic and a unitary state governed by a semi-presidential system. It has had a long history of international engagement, as a founding member of the South Asian Association for Regional Cooperation (SAARC), and a member of the United Nations, the Commonwealth of Nations, the G77, and the Non-Aligned Movement. 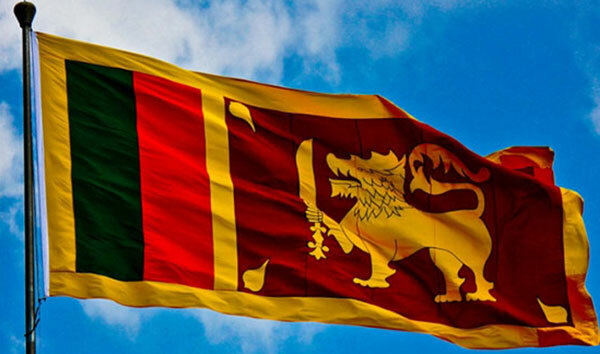 Along with the Maldives, Sri Lanka is one of only two South Asian countries rated “high” on the Human Development Index(HDI), with its HDI rating and per capita income the highest among South Asian nations. 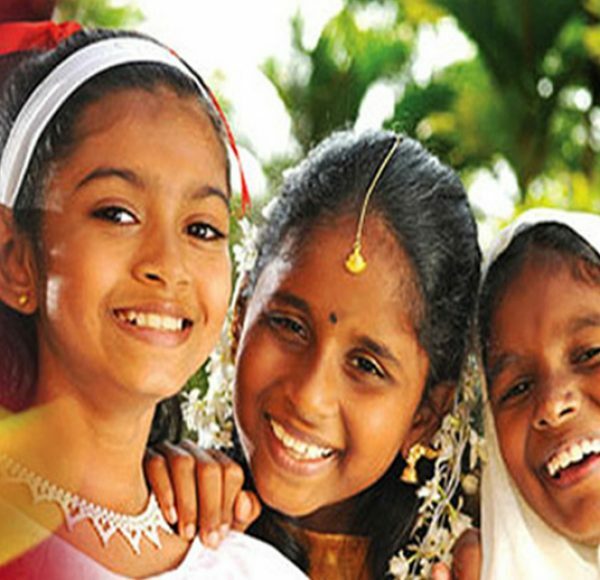 Sri Lanka is a multi-ethnic, multi-religious and multi-cultural society, a reflection of the island’s encounter with successive foreign immigrants. But it all began with indigenous people, the Veddahs, hunter-gatherers who exist today. The main ethnic groups are the Sinhalese and Tamils, both originally from the Indian subcontinent. Then there are Muslims, who settled in the island from the time it became an ancient trading centre. Similarly, Malays and Chinese were also attracted to the island. Whatever their situation in society, the people of Sri Lanka possess a warm and friendly nature reflected in persistent smiling faces and eagerness to help those unfamiliar with aspects of local life. You’ll find that Sri Lankans are very hospitable and take pride in inviting people to their homes, however modest they may be. So don’t be surprised if a driver or guide, or indeed virtually anyone encountered, requests the pleasure of your company. And don’t decline, as Sri Lankan hospitality is taken very seriously! influenced by Indian cuisine, standard foods in Sri Lanka are spicy, pungent and curry-related. 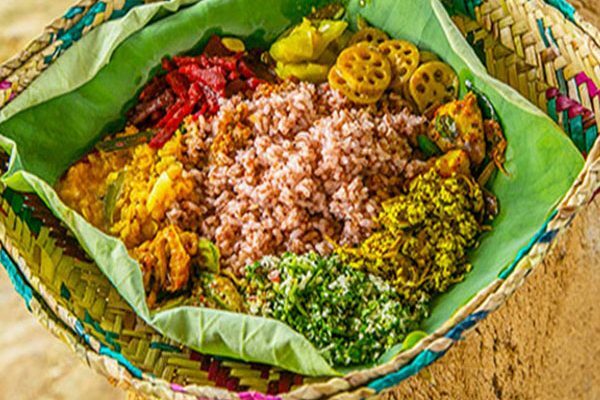 Chicken, seafood, rice and curry made of bread, banana flour and aubergines are important items on a Sri Lankan table. also Kottu, also known as Koththu Rotti or Kothu Roti, is a Sri Lankan Tamil dish made from godhamba roti and vegetables, egg and/or meat, and spices.Travelers can find Chinese, Continental, Indian and Japanese cuisine served in Colombo and other major cities in hotels and resorts. Sri Lankans are used to eat with hands, but forks and spoons are offered in the Restaurants & Hotels. 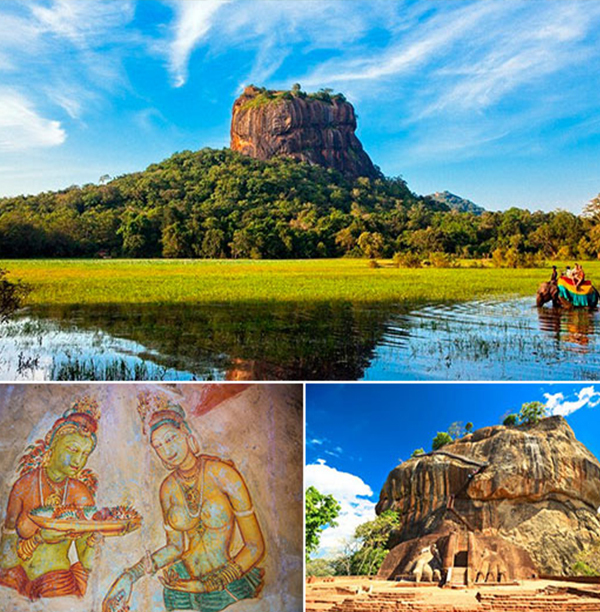 Sigiriya became a Kingdom, Sigiriya Rock base and the places such as Pidurangala which were endowed with many caves and a temple had been dwelled by Buddhist monks from around 3rd Century BC. It is also found that these areas had been inhabitant by people prior to King Kassapa’s rein. Many caves have Brahmi Inscriptions dating back from 3rd Century BC to 1st century AD. After King Mahanama who ruled Anuradhapura from 410- 432 AD, a prince named Dhatusena became the King of Anuradhapura in 459 AD, defeating the Indian invader ‘Pandu’. King Dhatusena was the ruler who constructed Kala Wewa or the Kala Wewa Tank, by building a dam across Kala Oya , which is a small river type. The man-made 54 mile long Yoda Ela, which takes water from Kala Wewa to Tissa Wewa is considered as an Irrigation engineering wonder even at the present day. It has a gradient of 6 inches per mile along the first 17 miles , which means the level different is just over 8 feet even after the first 17 miles along the canal. During his rein the famous full-relief Aukana Buddha statue was constructed out of a rock which stands 42 feet high. After ruling the country for over 1,400 years, the Kingdom of Anuradhapura fell in 1017 to the Chola King RajaRaja and his son Rajendra, who took King Mahinda V as a captive to India where he died in 1029. The Cholas shifted the capital to Polonnaruwa and ruled Sri Lanka for 53 years. Polonnaruwa was named as Jananathapuram by the Cholas. King Vijayabahu I eventually defeated the Cholas and re-established the Sinhalese lineage. 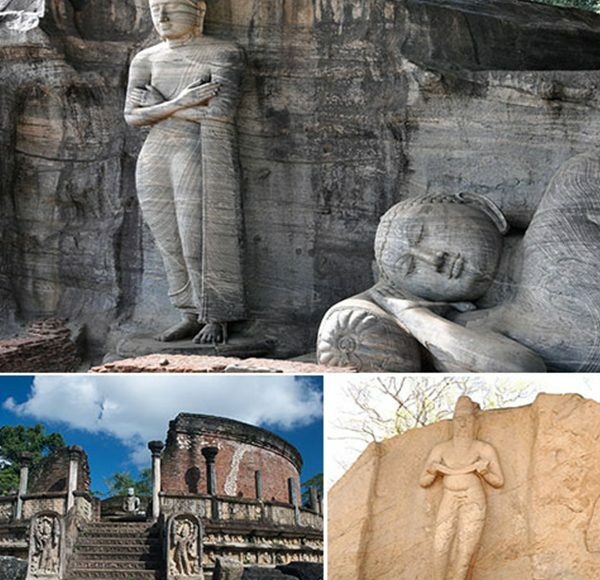 Polonnaruwa had previously been an important settlement in the country, as it commanded the crossings of the Mahaweli Ganga towards Anuradhapura. Some of the rulers of Polonnaruwa include Vijayabahu I and Parakramabahu I (Parakramabahu the Great). Most of Polonnaruwa that remains today dates from after the 1150s, as the extensive civil wars that preceded Parakramabahu’s accession to the throne devastated the city. Parakrama Pandyan II from Pandyan Kingdom invaded the Kingdom of Polonnaruwa in the thirteenth century and ruled from 1212 to 1215 CE. He was succeeded by Kalinga Magha the founder of the Jaffna kingdom. Kalinga Magha ruled 21 years until he was expelled from Polonnaruwa in 1236. Sri Lanka has 103 rivers. 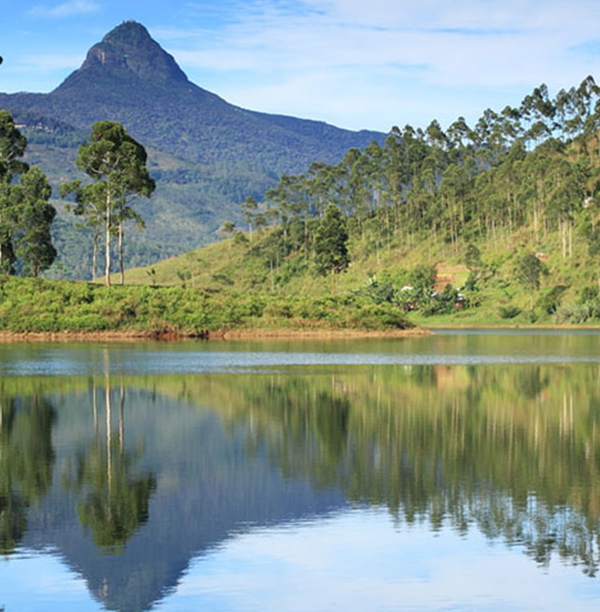 The longest of these is the Mahaweli River, extending 335 kilometres (208 mi). These waterways give rise to 51 natural waterfalls of 10 meters or more. The highest is Bambarakanda Falls, with a height of 263 metres (863 ft). Sri Lanka’s coastline is 1,585 km long.Sri Lanka claims an Exclusive Economic Zone(EEZ) extending 200 nautical miles, which is approximately 6.7 times Sri Lanka’s land area. The coastline and adjacent waters support highly productive marine ecosystems such as fringing coral reefs and shallow beds of coastal and estuarine seagrasses. 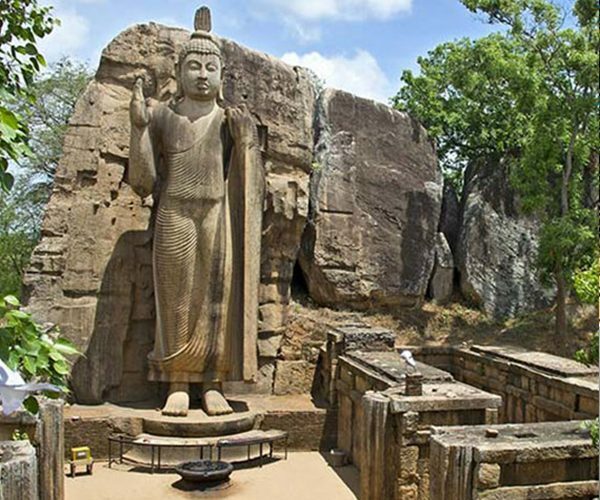 Declared by the UNESCO as a world heritage town, Anuradapura is considered Sri Lanka’s initial noted kingdom and also the capital of the island for several centuries. Being accepted for its cultural religious price the town attracts several local and foreign guests who like to explore the ancient history of sri lanka. 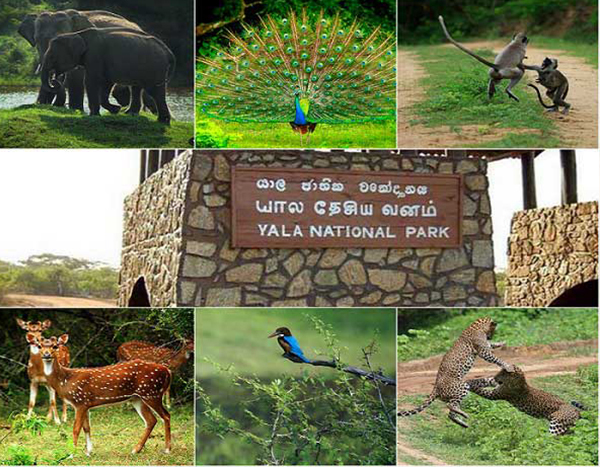 Yala national park is a huge area of forest, grassland and lagoons bordering the ocean, in southeast Sri Lanka. It’s home to wildlife such as leopards, elephants and crocodiles, as well as many bird species. Inland, Sithulpawwa is an ancient Buddhist monastery. nearby caves contain centuries-old rock paintings. Southwest, Magul maha Viharaya also has ancient Buddhist ruins. each area unit pilgrimage sites. 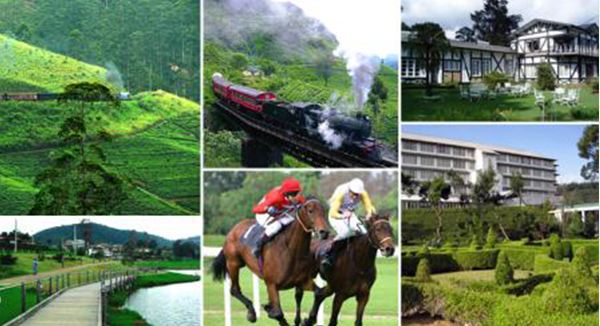 Nuwara Eliya is a town in the tea country hills of central state. The naturally landscaped Hakgala botanical Gardens displays roses and tree ferns, and shelters monkeys and blue magpies. near Seetha amman Temple, a colourful Hindu shrine, is decorated with religious figures. Densely forested Galway’s Land parkland is a sanctuary for endemic and migratory bird species, as well as bulbuls and flycatchers.